Lou Woolf has been a top selling agent in Southern California for over 30 years and has a proven track record with all transactions, from small, first-time homes to A-List celebrity purchases of multi-million dollar estates. He has personally handled countless millions in transactions during his career. Before moving to Rodeo Realty in 2010, he earned numerous awards and acknowledgments, including being made a member of the President’s Advisory Council and earning the prestigious “International President’s Circle” award. Lou has been recognized by The Los Angeles Daily News “Readers Choice Awards” as best Real Estate Agent in L.A. 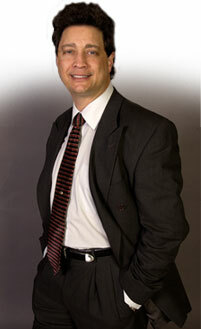 He has also been acknowledged by LA Magazine as one of the top 5% of all real estate agents in Los Angeles. Lou also has extensive experience in probate property and trust sales and has successfully closed numerous probate transactions all over Los Angeles, Ventura, and Orange counties. These transactions have ranged the spectrum of simple to complex and have included apartment buildings, condos, and single-family properties. This experience led him to create the program, EstatePact.com, which helps attorneys and their clients realize top pricing for their probate properties. As a father of two children, Lou is an active member of the community and also participates in a number of charitable organizations. Lou currently serves on the Board of Directors for the Encino Chamber of Commerce and Congregation Beth Meier, and has served in the past on the Board of Directors for the Bar Association’s charity, The Community Legal Foundation.